Top 10 Interesting Places in Michigan! 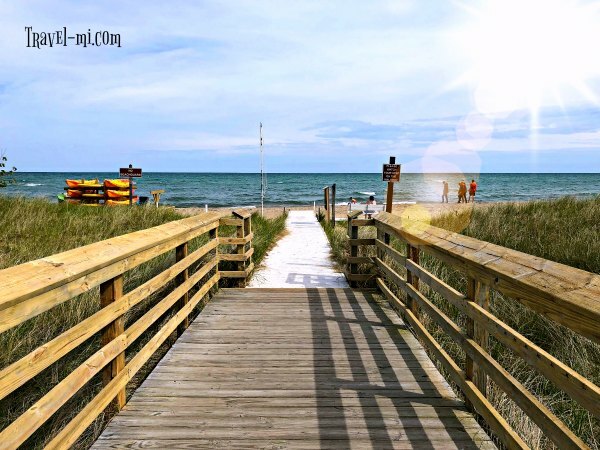 Our Top 10 Interesting Places in Michigan should definitely be on your Michigan Bucket List! Don't even hesitate...grab your calendars and start planning your adventures! This collection combines my favorite cities, places and fabulous destinations in Michigan! 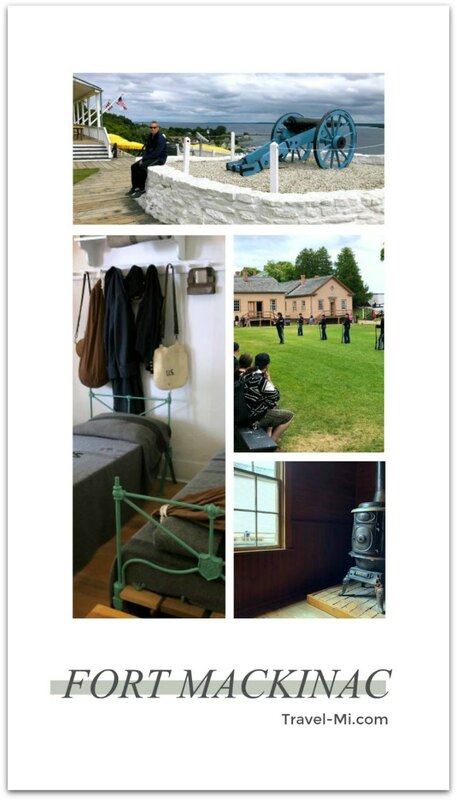 Seriously, Mackinac Island is one of our favorite places to visit in the summer. 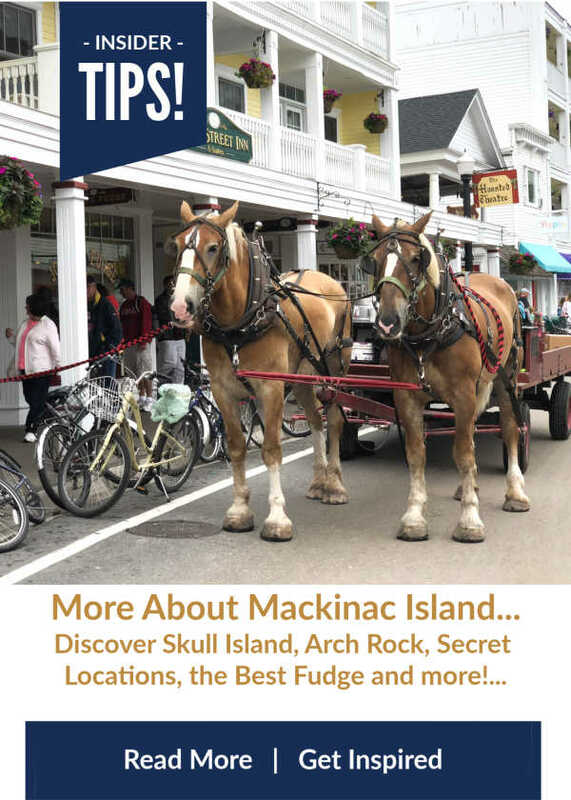 Someone might say, "Hey Sherry, be more original, everyone knows about Mackinac Island!" I hate too gush so unapologetically (not really), but what's not to love about biking all around an ISLAND while exploring caves in Michigan! We adore the fresh breezes, carriage rides, discovering hidden spots, packing our lunches to eat along the shore, noshing on fudge and being one with nature. My friends, if you have never been to East Tawas, I urge you to get all kinds of adverturey and head there. If you enjoy shopping, their downtown area has great shops and restaurants to explore. 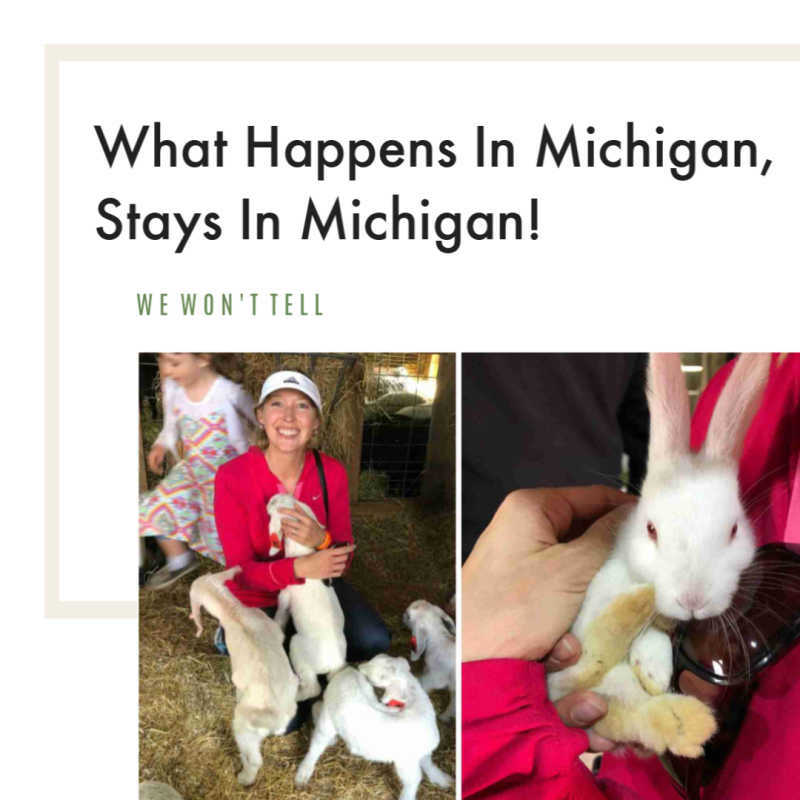 If you prefer exploring, check out my East Tawas adventures here. I ADORE the East Tawas State Prk (pass required) as you can spend the entire day exploring trails, their fantastic beach and park. 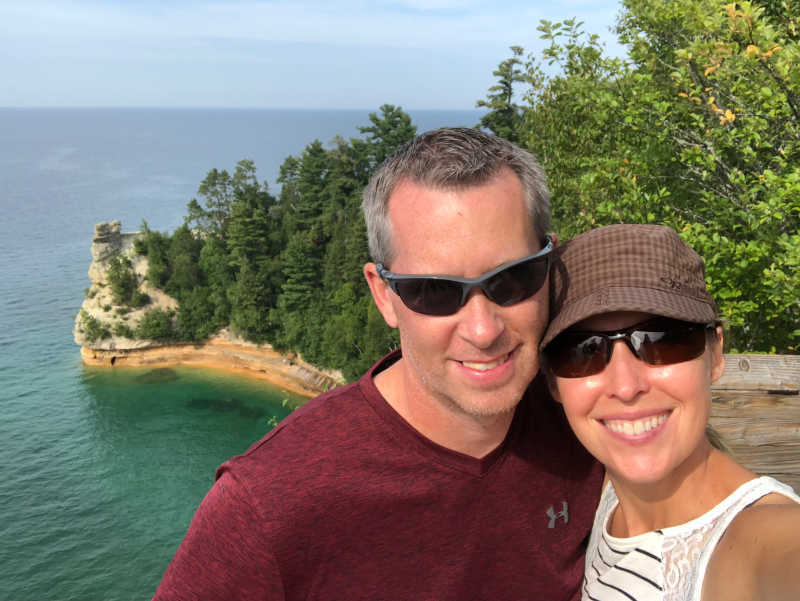 East Tawas is fantastic during all our Michigan seasons! One of our favorite Michigan waterfall is the Hungarian Falls located in Hubbell, Michigan. 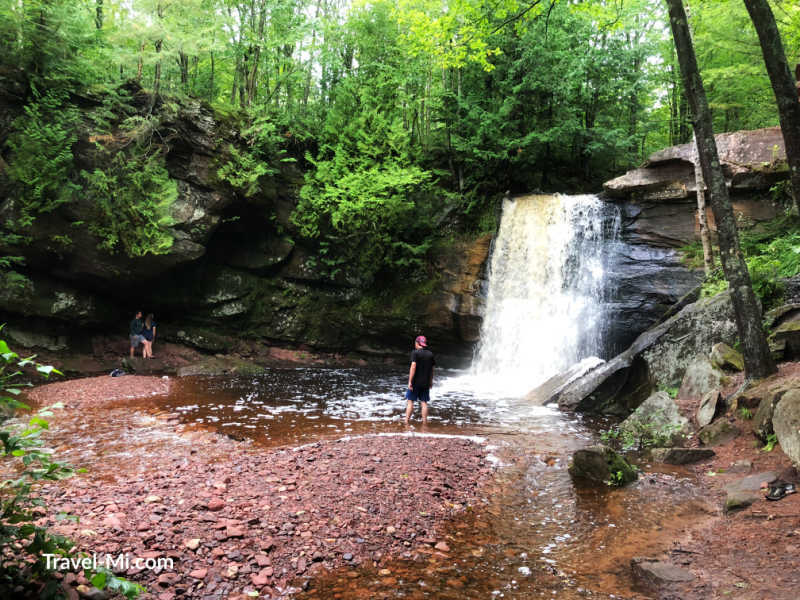 Dover Creek tumbles overs three sets of stunning falls on its way to Torch Lake. We were in absolute awe of these gorgeous falls during our visit this past summer. The roaring of the falls and the cool mist is so mesmerizing and refreshing. Plan to spend a few hours exploring and fully enjoying Hungarian Falls. 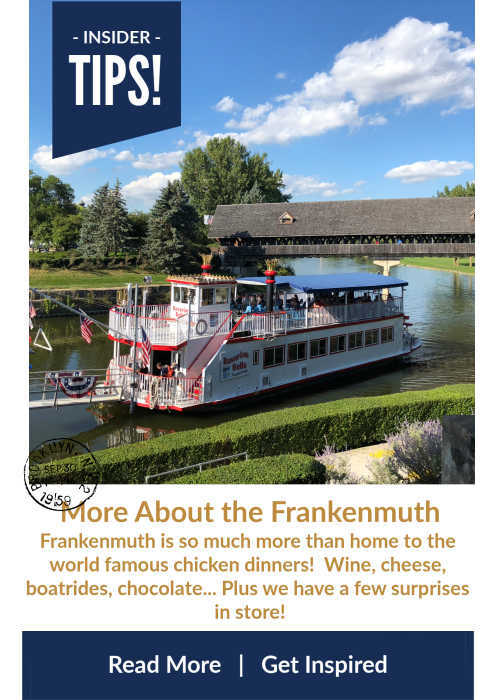 You will see why it made our Interesting Places in Michigan list! Dark Sky Park is located about 3 miles west of Mackinaw City. It is a fantastic spot to view the stars and constellations while on your Michigan vacation. It's our go-to spot on a clear night! Concrete arched seating is positioned just perfect for optimal sky viewing! Just bring a cushion for your comfort. Bathrooms are available with red lighting so bright lights don't mess up your night vision! Binder Park Zoo is a shockingly fantastic zoo. Trust me on this one, I used to live about 20 minutes from the zoo and was a frequent visitor. I just love hopping aboard the open air train to Africa. It is narrated the entire way and is very enjoyable as you learn more about the animals in the park while viewing beautiful wooded areas along the way. Other examples of why I love Binder Park: It's clean, not too expensive, not too crazy busy and peacocks roam around. 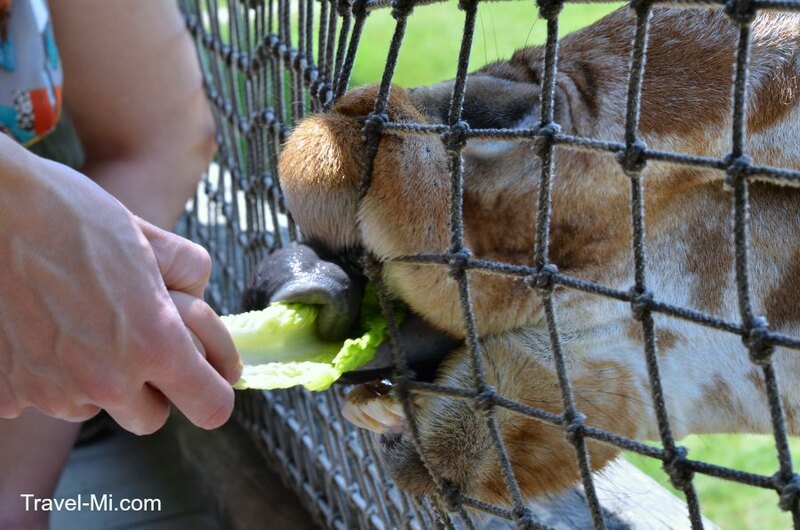 OH, and you get to feed giraffes!!! That should be your biggest reason to visit! Binder Park also has lots of shade trees, bathrooms and is easy to navigate with children. We have snowmobiled there and explored the area by foot in the summer. The views are absolutely outstanding!! Kayaking Pictured Rocks National Lakeshore is high up on my bucket list...it's quiet expensive but I hear the views are absolutely amazing! The glass bottom boat tours are also worth checking out. But don't take my word for it, you need to visit Pictured Rocks for yourself! 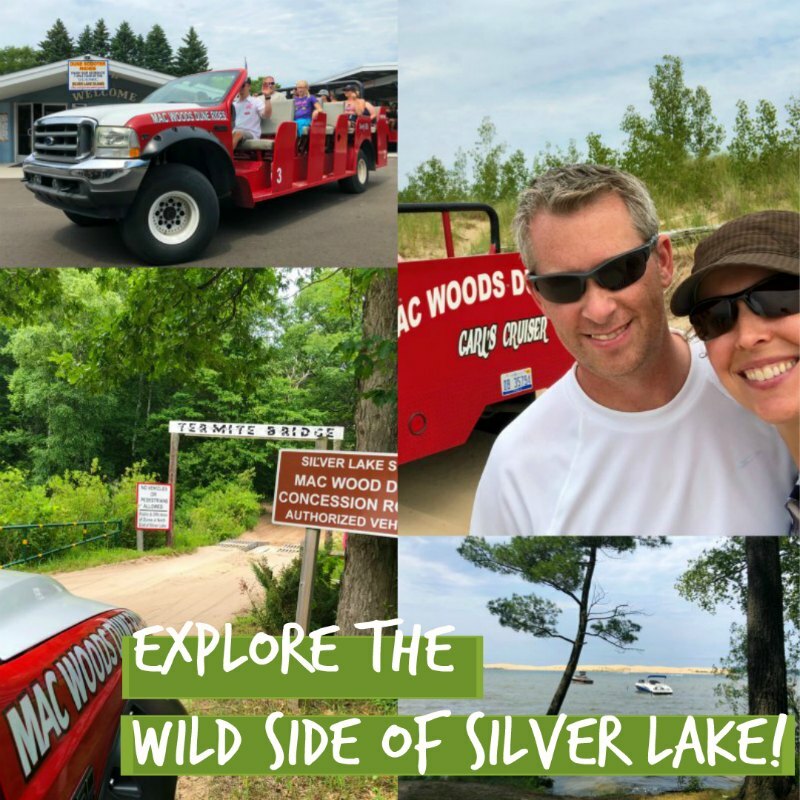 Explore the Wild Side of Silver Lake! The Silver Lake area feels like it's own world...or planet for that matter. Once you arrive, you'll forget about everything else. It's hard to explain until you visit for yourself. If you love gettin' a little crazy on the dunes and love beaches, this place is definitely for you! Bring your own vehicle (make sure you research the requirements first), join up with an outfitter that rents jeeps or go out on the dunes with Mack Woods...Here's what we thought! Did you know that Conde' Nast named Saugatuck on their "Top 25 Beaches in the World?" 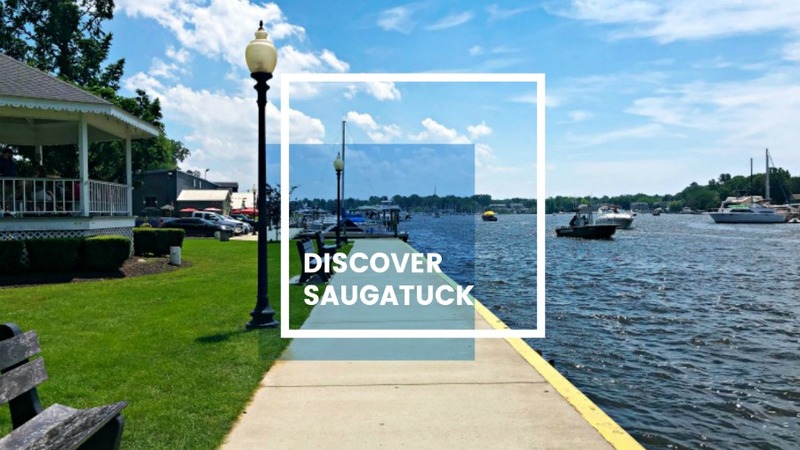 If you haven't visited Saugatuck, here's why you need to add this quaint lake town to your spring or summer Michigan bucket list. *Ever been on a Chain Ferry? *Wheezed, sweated and dragged your carcass to the top of Mt. Baldhead? YEAH, it's that awesome! *Wandered along a riverwalk with melty ice cream? *What about screamed your head off on a dune ride? Isle Royale National Park is a remote island cluster in Lake Superior, near Michigan’s border with Canada. It is a peaceful island with dense forests and sparkling lakes and waterways, where moose and wolves roam free. But don't worry, if camping next to wolves isn't your cup of tea, you can book a room at their lodge! They will pack you a lunch and send you off on a guided tour! READ MORE HERE! 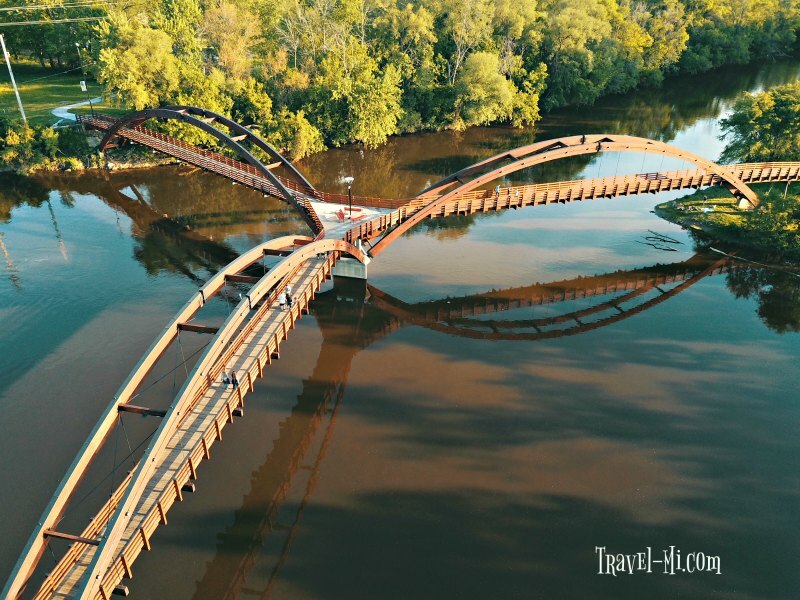 The Tridge-one-one heck of a gorgeous bisecting bridge with biking and walking trails. Dow Gardens and Whiting Forest-Stunning places to visit year round for walking, flowers, photography and events. The awesome Chippewa river that's perfect for kayaking and canoeing . The Chippewa Nature Center that's a mecca for hikers, adventurers and kayakers. City Forest-A great place to walk, snowshoe, cross-county ski and jog. 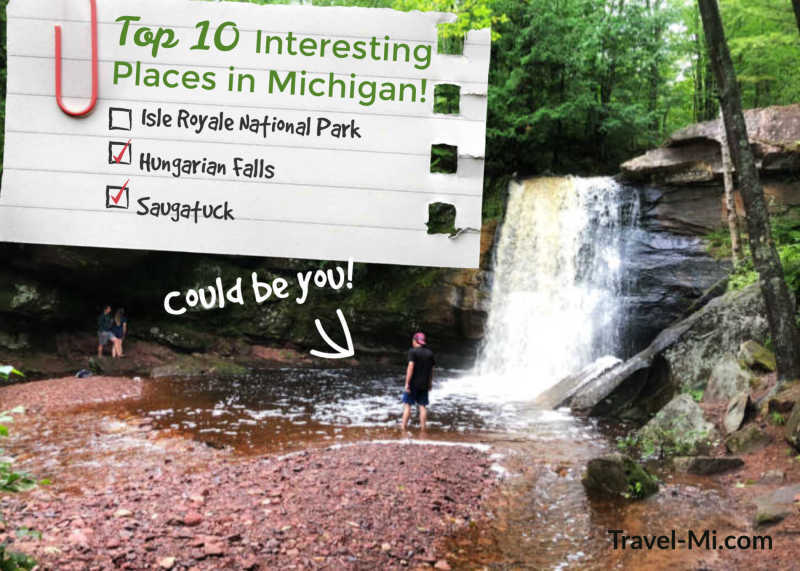 We hope you are truly inspired by our Top 10 Interesting Places in Michigan! 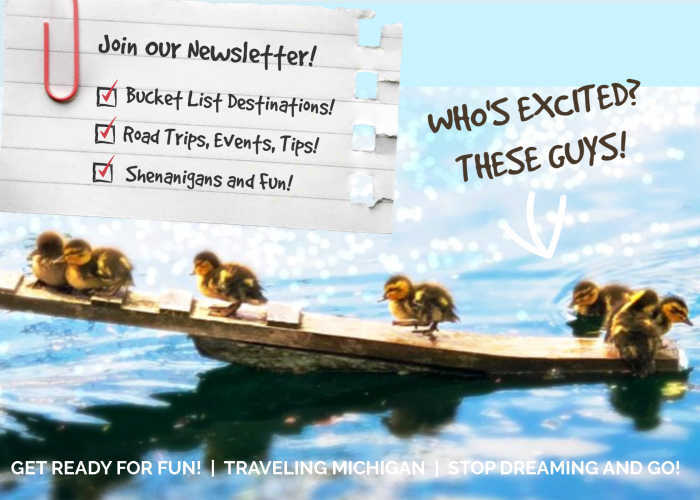 Let's start traveling Michigan! Have A Great Place That NEEEEDS To Be On Our List? Let us know! Share it!